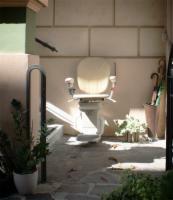 Battery powered stair lifts (DC stair lifts) are a sound investment for customers who reside in areas where power outages are a frequent occurrence due to grid errors or inclement weather. 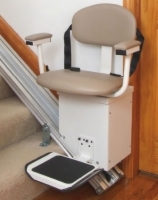 DC-operated stair lifts will continue to operate for as long as the battery holds a charge, ensuring that you can continue to safely traverse stairways in your home. 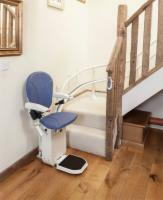 Each stair lift has a charge station at a given point on its track, allowing the battery to recharge while the unit is drawing AC power. 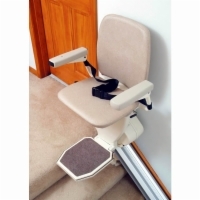 For more details on how a battery-operated stair lift works, please contact our stair lift experts by dialing 1 (888) 301-2610. 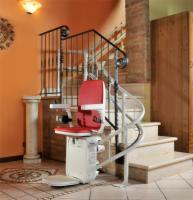 The AmeriGlide Horizon Stair Lift features the best in premium stair lift technology. 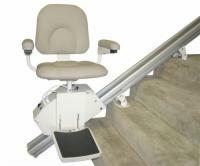 Enjoy the comfort, quality, and security of an AmeriGlide product and take advantage of a variety of innovative options. This incredible value comes with an unbeatable warranty! 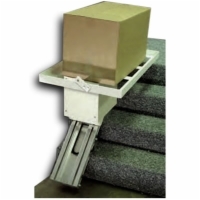 AmeriGlide's DC Cargo Lift gives you the power to transport heavy or bulky items up and down stairways in your home or business with the greatest of ease! Comes with measurement, installation, and delivery all included in the price!